Ethan spent six years in the Navy as an Arabic & Spanish linguist and intelligence analyst before studying at Brown. In 2018, he was a Visiting Fellow at the Middlebury Institute of International Studies, where he published research on foreign social media disinformation efforts. Ethan’s articles and opinion pieces have appeared in The Washington Post and HuffPost. His interests include topics at the intersection of technology and international affairs, to include cybersecurity, influence operations, and transnational terrorism. In 2019, Ethan will begin work at Facebook, as an intern in the company’s Threat Intelligence team. He currently serves as Chief Technology Strategist for the Ivy League Veterans Council. Ethan can be reached at ethan_fecht@brown.edu and found on LinkedIn here. Brendan spent five years in the Navy as an Operations Specialist deployed to Rota, Spain. With a work ethic that won him the Sailor of the Year award, Brendan moved on to study at Princeton where he became a founding member of the Princeton Student Veterans Alliance and joined Princeton's wrestling team. Brendan is pursing a degree in Politics and looks forward to continuing his education by attending law school. Brendan can be reached at bjohara@princeton.edu and found on LinkedIn here. Rachel has served in the Marine Corps for nine years as a Civil Affairs Specialist, and is currently a Staff Sergeant. She is a veteran mentor, Moody’s Scholar, and the Women Veteran Representative for the Columbia University Military Veterans Club. Rachel has worked and studied in the Middle East, has a background in Arabic, and is currently studying Farsi. She is pursing a career in Diplomacy in the Middle East with her husband while continuing to sing and speak for events. Rachel can be reached at rb3326@columbia.edu and found on LinkedIn here. Tony served for six years in the Air Force as an Arabic Language Analyst. He is currently a Senior at Yale University where he is Vice President of the Yale Veterans Association. Additionally, he is the President of the Yale Student Veterans Council and coordinates community-building events for the greater veteran student body. Tony's academic focus is on innovative policy alternatives that yield sustainable overall population health improvements. Most of his work takes place within the pharmaceutical and medical device sphere. Tony can be reached at anthony.grant@yale.edu and found on LinkedIn here. Aimee is a former intelligence analyst with over five years of experience in the Marine Corps. She is currently the Vice President of the Brown University Student Veterans Society and is dedicated to advocating for veterans in higher education. Aimee is pursuing her BA in Political Science. Upon graduation, Aimee hopes to continue to her dedication to public service by working in the defense industry. Aimee can be reached at aimee_chartier@brown.edu and found on LinkedIn here. Conall served five years in the Army as an Arabic Language Analyst. He is currently in his first year at Brown University and works in Brown's Office of Military Affiliated Students and volunteers as an undergraduate ambassador for Service to School. He is studying Middle Eastern Studies and Political Science and intends to continue his education in law school after graduating from Brown. Conall can be reached at conall_finn@brown.edu and found on LinkedIn here. Tristan served in the United States Air Force and deployed to Iraq in 2008 and 2010. Upon transitioning out of the Air Force, he worked as a defense contractor in Afghanistan. After service and contracting, Tristan enrolled in St. Johns River State College before transferring to Brown University where he completed his A.B. in Economics. 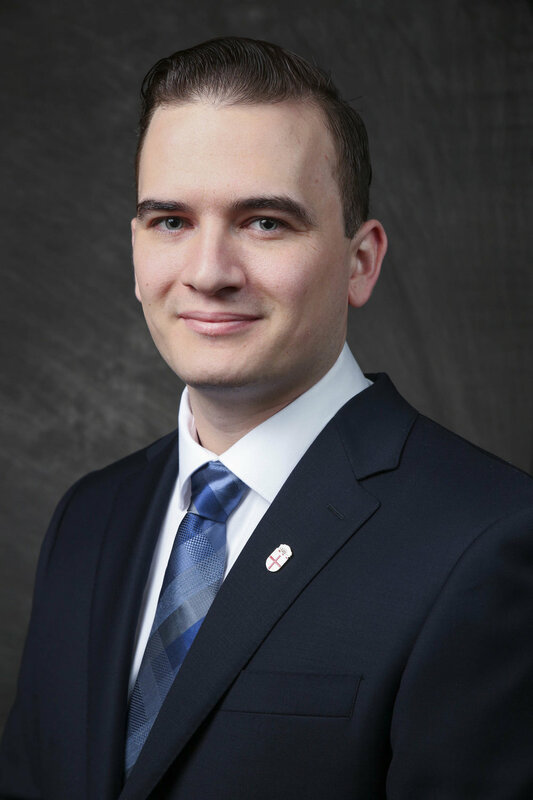 Tristan has been heavily involved with veteran and veteran-related organizations, initiatives and events: He has worked with the Ivy League Veterans Council, Student Veterans of America, the USO, Operation Stand Down, and has volunteered on behalf of Blue and Gold Star families. He has also worked with one of the co-sponsoring Senators of the Forever GI Bill. Tristan is currently at Yale Law School, Class of 2021. Tristan can be reached at tristan.hood@yale.edu and found on LinkedIn here.